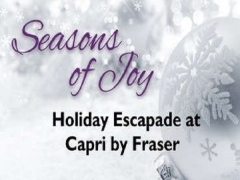 Rest & Rejuvenate from the year’s Weariness at Capri by Fraser, Changi City. Book a staycation from 17th November 2017 to 14th January 2018 and enjoy our relaxing rain shower with Malin +Goetz toiletries. Fulfil that year-long resolution by fixing up your own meal at the kitchenette available in all room types. Enjoy festive treats with your loved ones in the comfort of the sofa. Share your celebratory moments with your friends with our seamless connectivity. Complimentary daily scheduled airport shuttle. 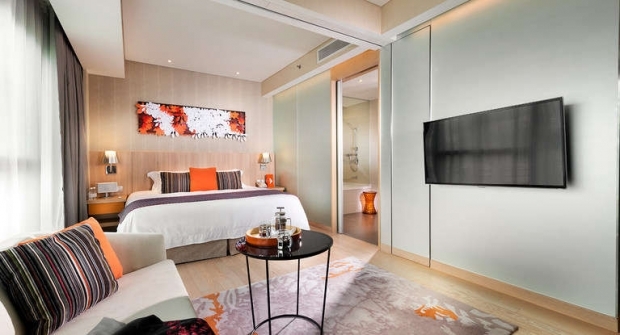 Extra bed for 3rd person – SGD90 inclusive breakfast. Children below 11 years old stays free if sharing existing bed. Booking are non-refundable, no cancellation and modification are allowed. Please present the same credit card used to guarantee your booking when checking in /making payment at hotel. Credit cardholder must be present otherwise an alternate credit card is required upon check-in. Please note, the hotel reserves the right to pre-authorise credit/debit cards prior to arrival. Valid only for stays from 17th November 2017 to 14th January 2018; blackout dates apply. Rate subject to 10% Service Charge and 7% Goods plus Service Tax. Offer is not valid in conjunction with any other promotions. Check out Capri by Fraser for more details about this offer and to book your accommodation now!